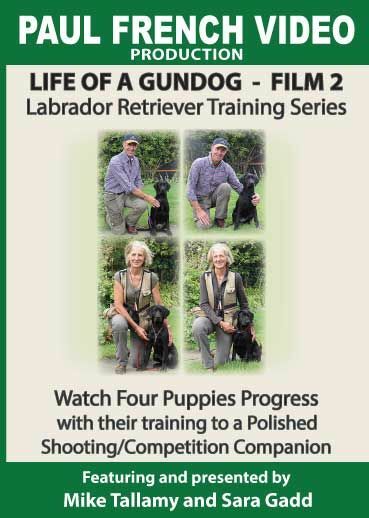 The Brindlebay puppies are growing fast, watch and learn from Mike and Sara, as they continue to spend more time on basic training. Watch Brindlebay Filleigh, Brindlebay Brigands, Brindlebay Boconnoc and Brindleybay Towie progress with their training. Film 2 moves onto the next phase of training at a slower pace, a lot of repetition and memory retrieves, consolidating on previous training.